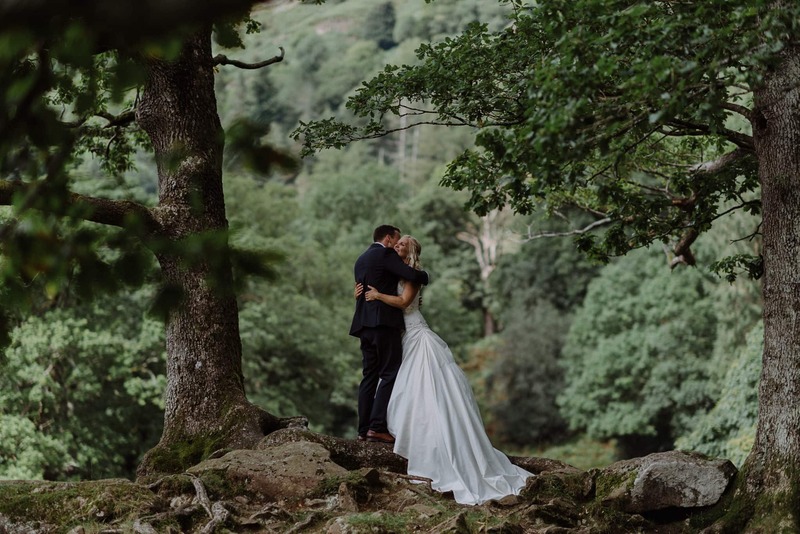 The Lake District is a place of amazing natural beauty and wonder and is a place that is one I am fortunate enough to frequently visit for both weddings as well as for leisure time. 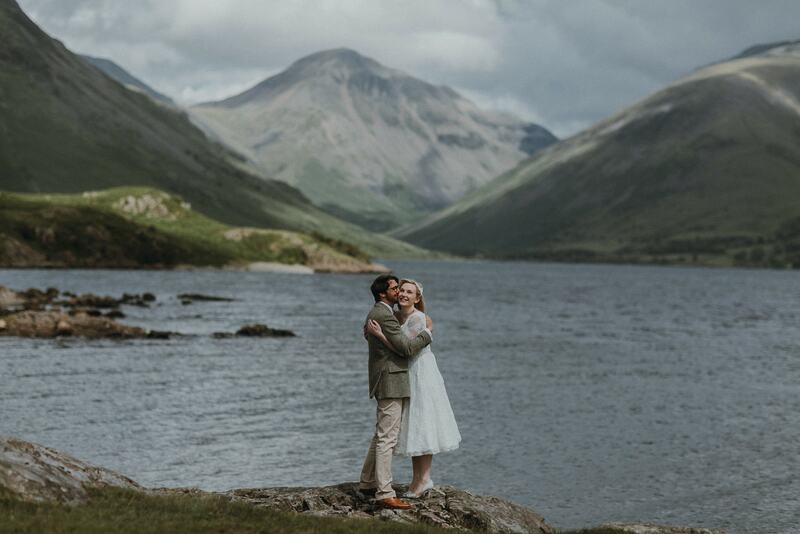 I discovered the Lakes very late on in my life when photographing weddings at a few locations in Windermere, Wasdale and Buttermere and after those weddings I knew I was forever in love with the Lake District. It is a natural place of beauty and conservation and one that if you have the means to visit, I highly recommend doing so. 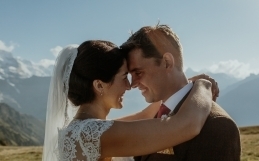 From the weddings I have been honoured to be a part of I have seen countless couples enamoured with the Lake views, stunning snow capped mountains in winter and in awe of the majesty that this national park offers. 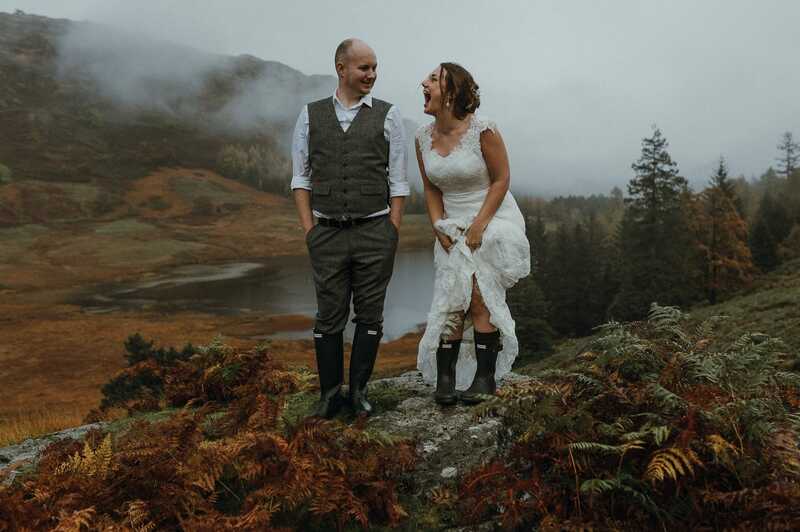 Here is a selection of 18 images from past weddings and elopements that I have captured in the Lake District over the past ten years of being a wedding photographer. I use a natural and relaxed style in my approach so no forced grins or awkward staring into the camera. 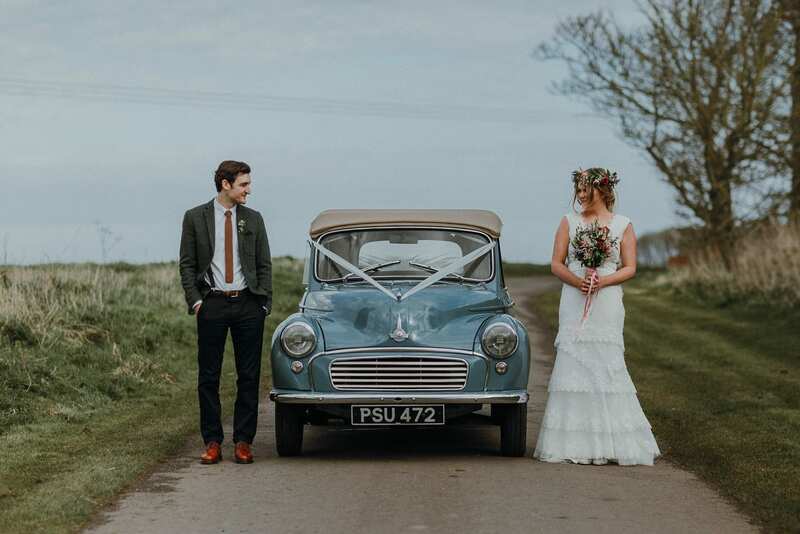 I just focus on the natural aspects of who you are as a couple, plus the bonus of exploring a truly wonderful and iconic part of the UK. 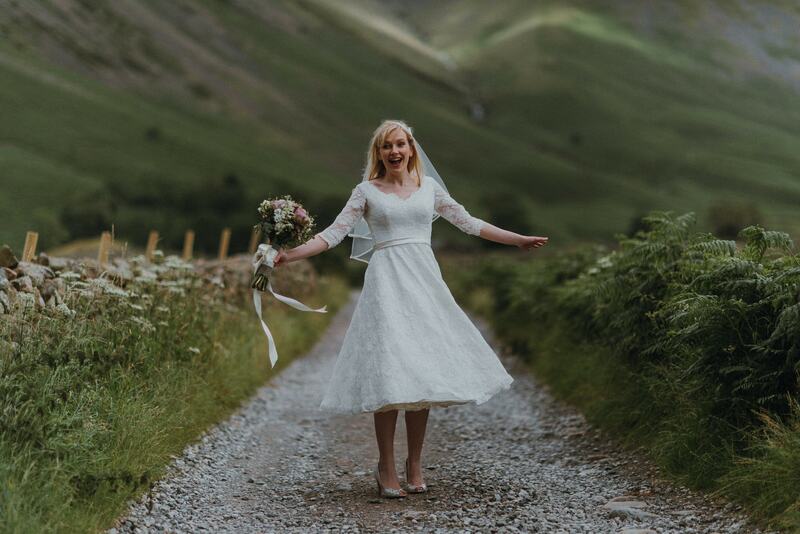 If you’re planning a wedding in the Lake District or even an elopement in the Lake District and you love the idea of a natural approach to photography please get in touch and lets chat about your plans. 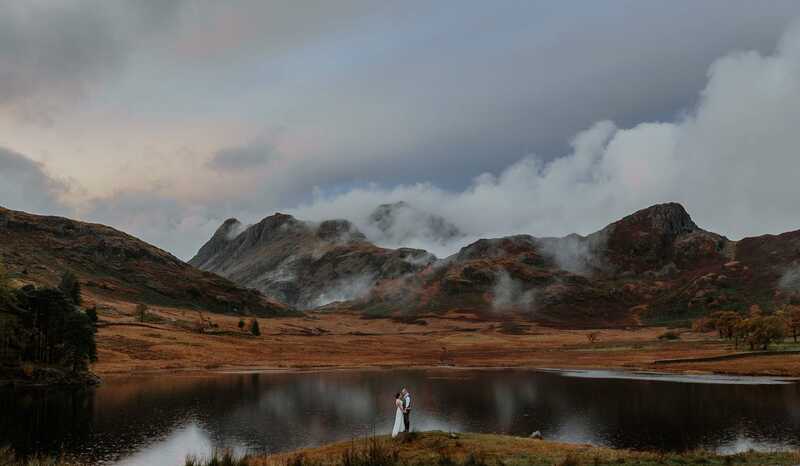 Why choose the Lake District for you wedding? 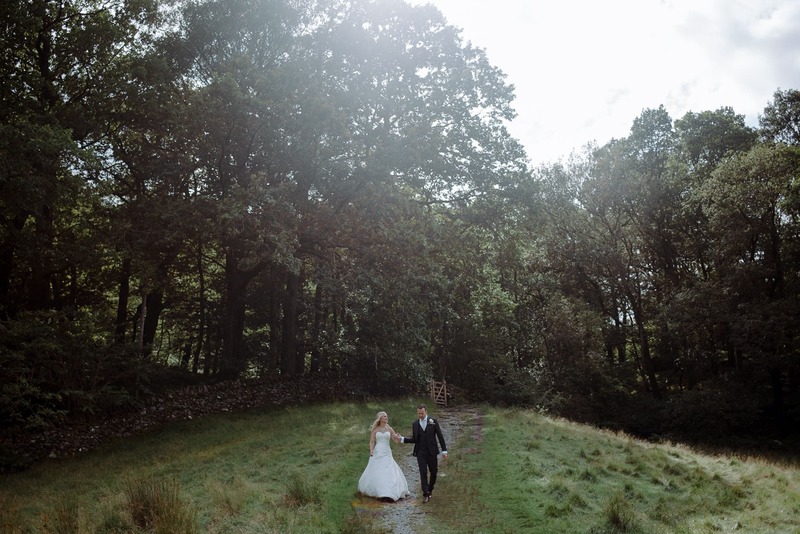 Well the Lakes has some of the greatest wedding venues you can choose and if you have ever visited the Lakes for a few days away on a holiday then you will know just how special a place that it truly is. 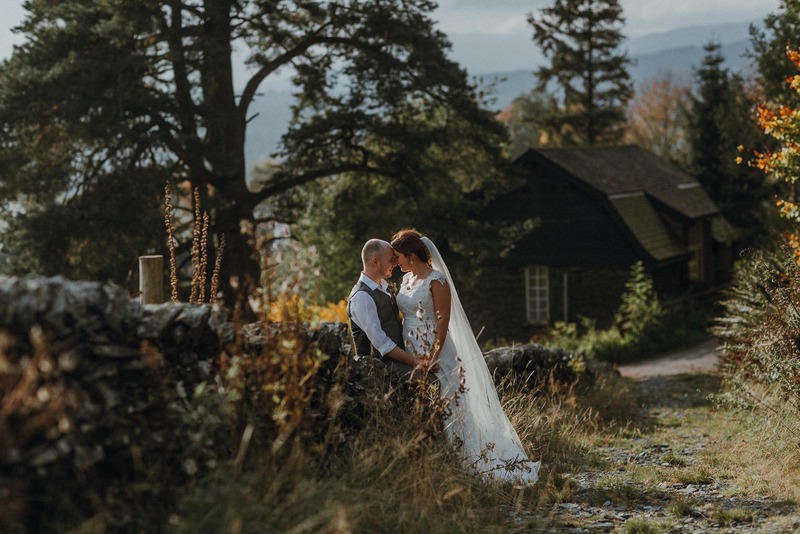 Silverholme Manor in Graythwaite was first opened in 2013 as a wedding venue and I was very proud to be the first wedding photographer in the Lake District to photograph weddings there. 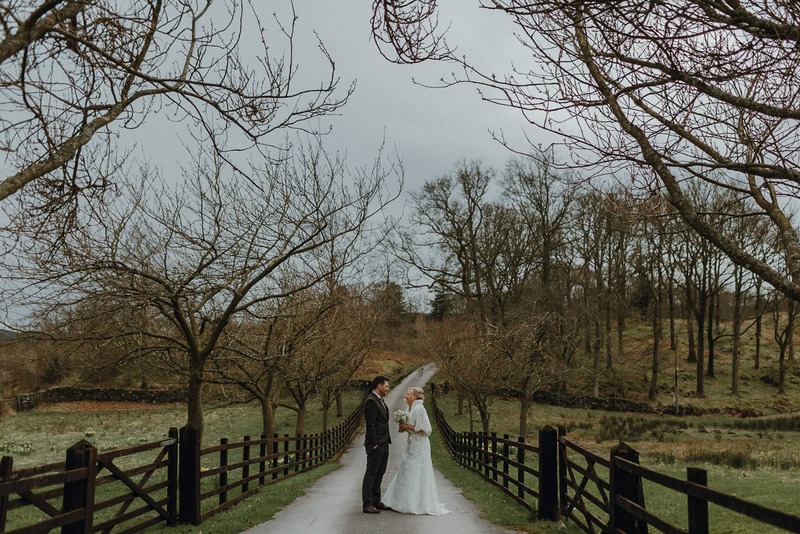 Cote How is another amazing wedding location, complete with rustic barn for the ceremony and beautiful walks along the riverside. I have even once spotted wild deer running through the streams, a sight to behold and one I won’t ever forget. The food at Chesters by the river is stunning, possibly the best home made cooking you will find anywhere in the country, especially the cake! Why not visit the Beatrix Potter museum and even better yet, if you are a fan of course, you can visit the cottage at Hill Top where she wrote her iconic stories of Peter Rabbit and friends. 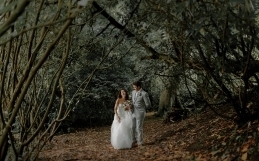 I have been fortunate enough to photograph a wedding there, a very great honour indeed. 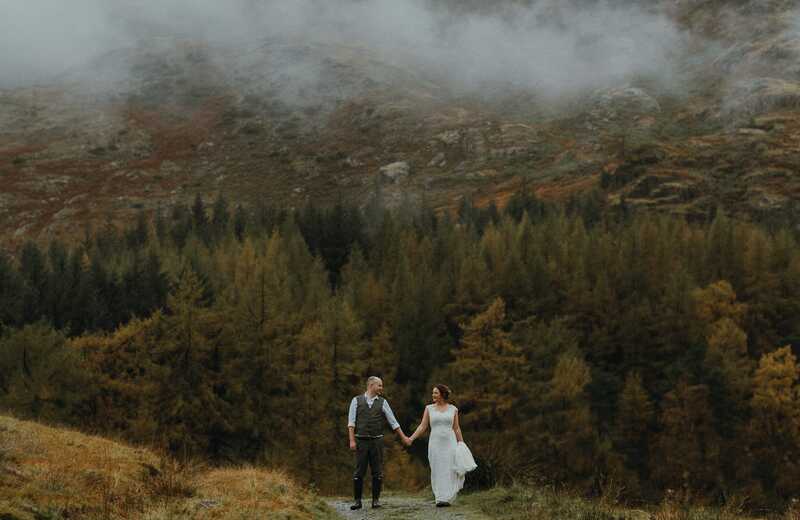 Langdale valley is incredible for an elopement, especially at places like Blea Tarn with mountain vistas enveloping you along with pines and monkey puzzles trees (yes really!). 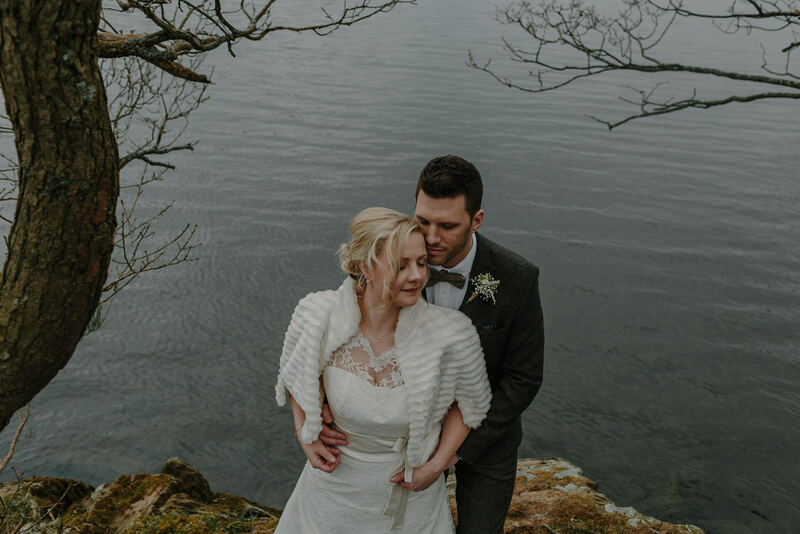 On the outskirts of Lake Windermere is the recently upgraded and refurnished Samling hotel, my good friends were married there and then the following day we made some incredible portraits of them at Blea Tarn. 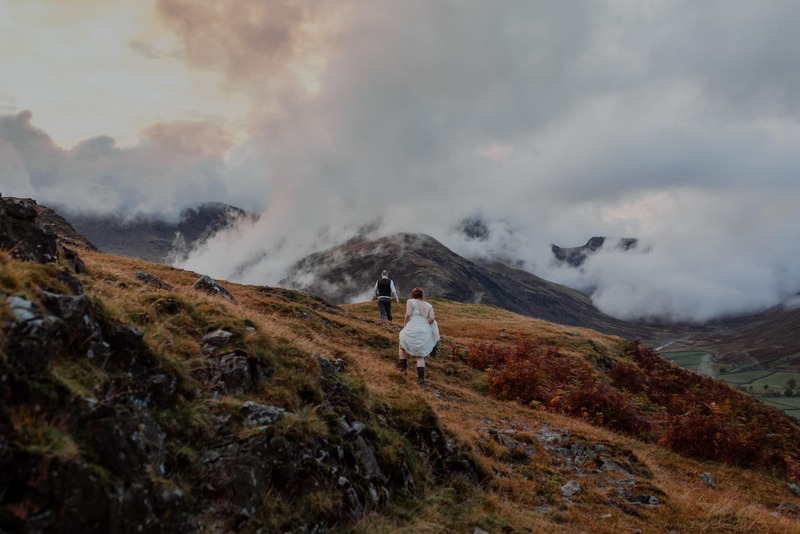 There are so many gorgeous backdrops for an elopement in the Lake District; Old Man of Coniston and it’s neighbouring lake of Coniston Water, Helvellyn, Cat Bells, Scafell Pike, Buttermere and many more. If you have any experience in climbing then these locations re very likely ones famous to you. 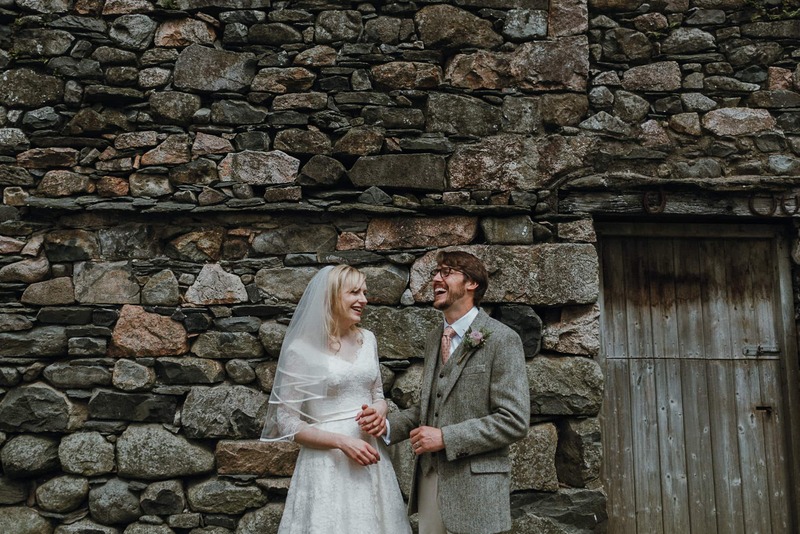 I have quite an extensive knowledge of the best locations for elopements to take place, I can drive you both to your desired location and have a very intimate ceremony with the best backdrops that the Lake District has to offer, all included in my service to you as your photographer. 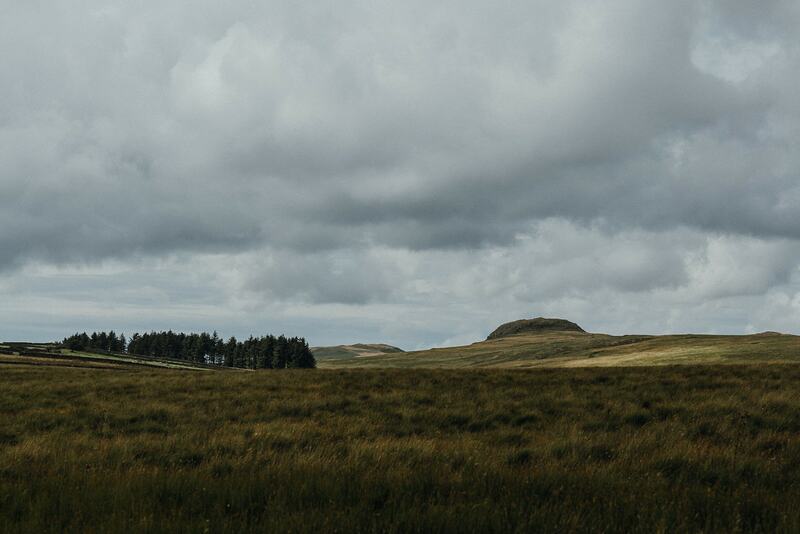 There is so much to see and do in the lakes, especially just for a fun days out and if you’re in to photography or just visiting stately homes, manors and other building. Holker hall is an amazing feat of architecture and one I can recommend. The lakes has other amazing locations like Muncaster Castle in Ravenglass, Abbot Hall in Kendal and Dalemain Historic House and Gardens in Penrith. One of my personal favourites however is Graythwaite Hall Gardens in Ulverston, not too far from Silverholm manor. There is also incredible wildlife at the Lake District, like the Lakes Aquarium which attracts visitors from all over the country. You can discover some incredible creatures otters, piranhas and marmosets in the rainforest. The Armitt museum in Ambleside which is also library and gallery exploring the Lakes history also home to collections of artwork by Kurt Schwitters, and many more artists. One of my favourite places though is the Lakeland Motor museum, a place if you are at all interested in classic cars is one sure not to miss. Honister Slate mine is also one i can personally recommend, especially if you like a goof walk mixed with incredible views! You can then visit the shops to buy some authentic, beautifully crafted slate ornaments of your very own. 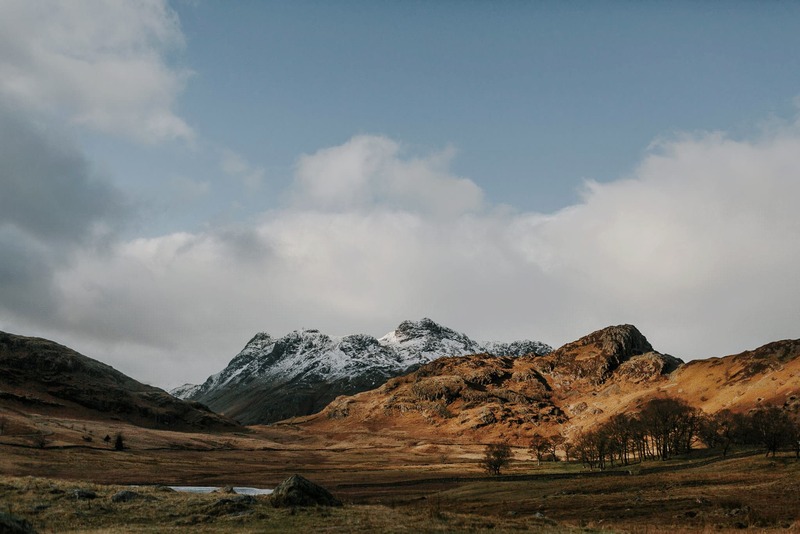 You can very certain that you are going to have a the most amazing and memorable time when you choose to visit the Lake District, wether it be Windermere, Hawkeswater, Hawkshead, Ulverston, Buttermere or anywhere in the Cumbria region. 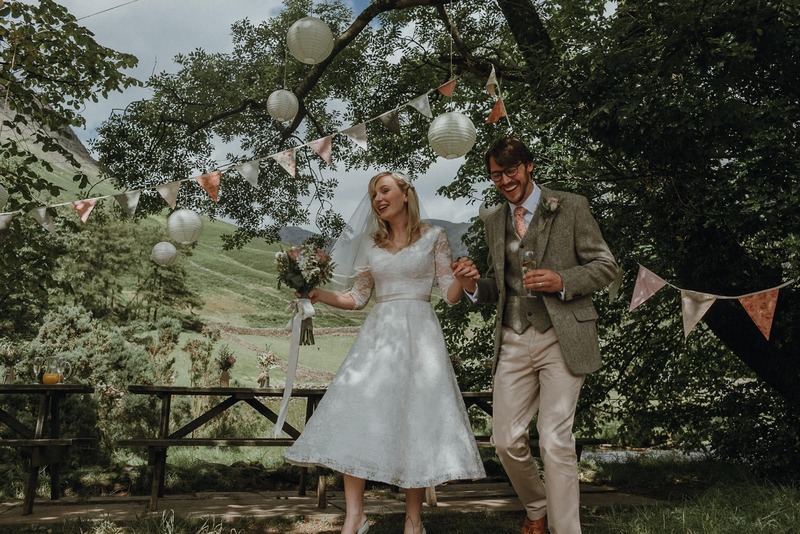 If you are planning a wedding or elopement in the Lake District or even in the Cumbria region then please get in touch using my contact page and lets talk about your plans. Adventure awaits!